Beauty Professor: Napoleon China Doll Foundation Look 2...Yet Another Foundation Review! Napoleon China Doll Foundation Look 2...Yet Another Foundation Review! 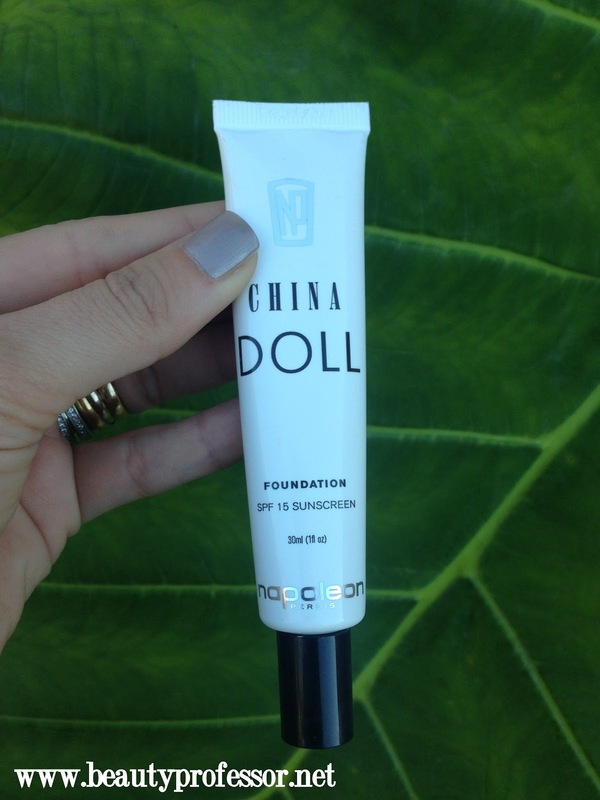 Above: The Napoleon China Doll foundation comes in a streamlined 1 ounce squeeze tube that is extremely makeup bag friendly! 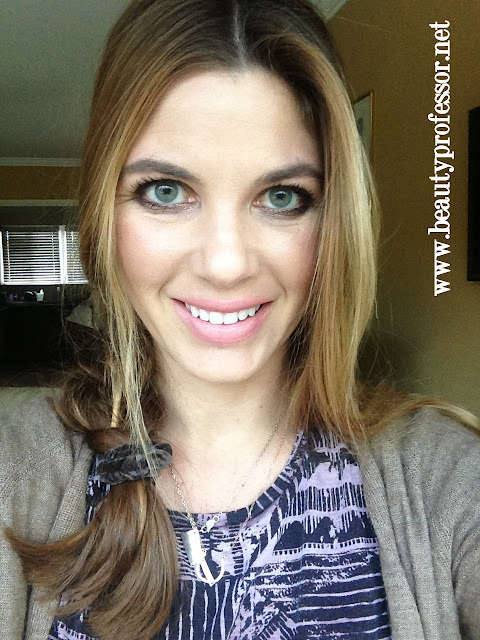 There will likely be no end to my pursuit of foundation...I'm a fairly certain that it is hardwired in to my DNA. 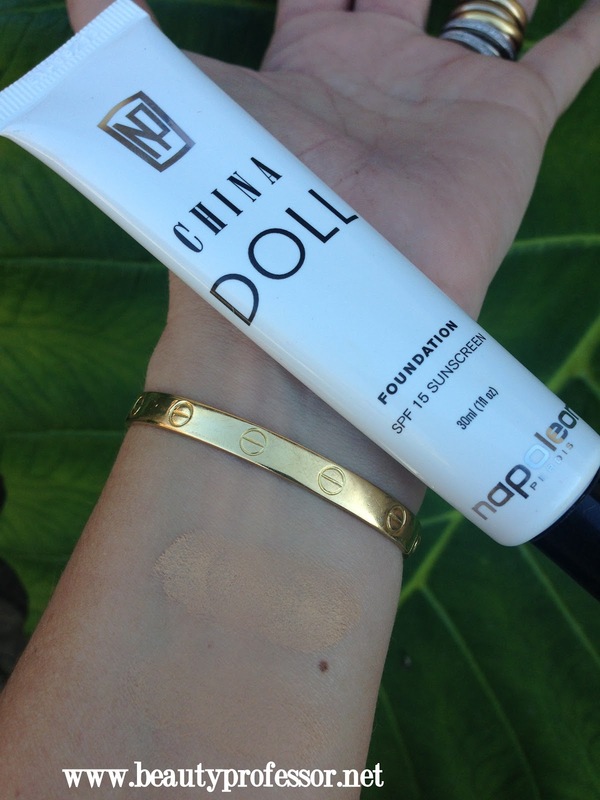 At any rate, I recently picked up the Napoleon Perdis China Doll foundation in Look 2 and was pleasantly surprised by its smooth texture, medium coverage and befitting light beige (with requisite yellow undertones) shade for my winter skin. Above: This foundation gives a soft velvet finish. Retailing for $50, this foundation purports to be lightweight and long wearing, with the ability to "self-set" without powder. My experience thus far supports these claims! I wouldn't classify this as a true cream-to-powder product, but it does rapidly dry down to a satin matte velvet finish upon application, making powder an option rather than a requirement. Above: The packaging features a squeeze tube with a small tip dispenser for excellent control. There are nine shades in this formula and I selected Look 2, which is a light beige with golden yellow undertones (in the NC 23-25 range). This foundation is highly pigmented, yet it has a "silicone slip" and mousse-like texture that allows the pigment to spread smoothly and evenly. The texture is so light, that the product almost disappears once applied, but somehow it has left perfected skin its wake. 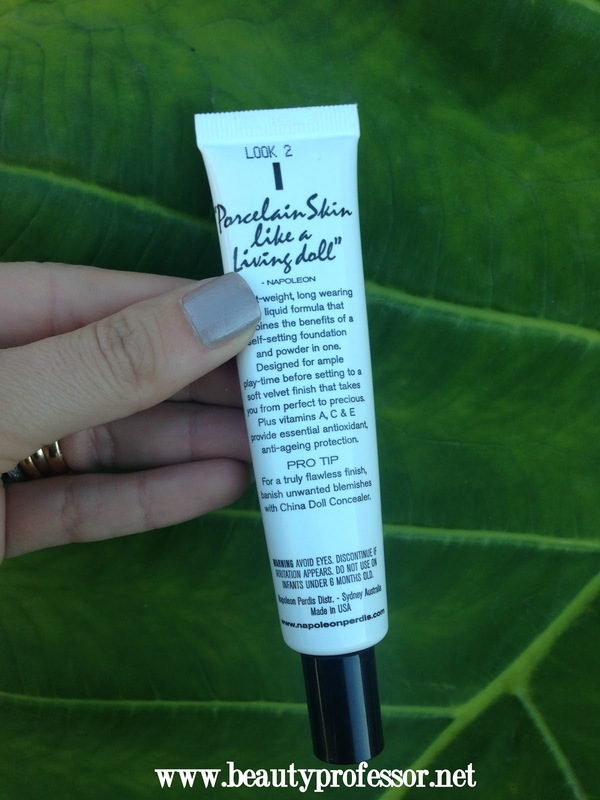 I prefer to apply it with my fingers, rather than a foundation brush as I notice the heat from my hands enhances an undetectable finish. 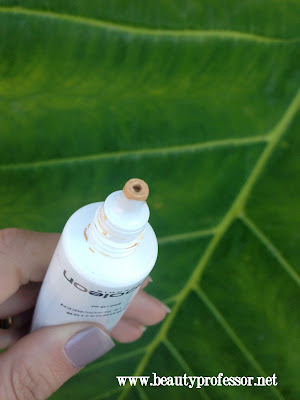 It is unscented and, in my experience, does not oxidize. 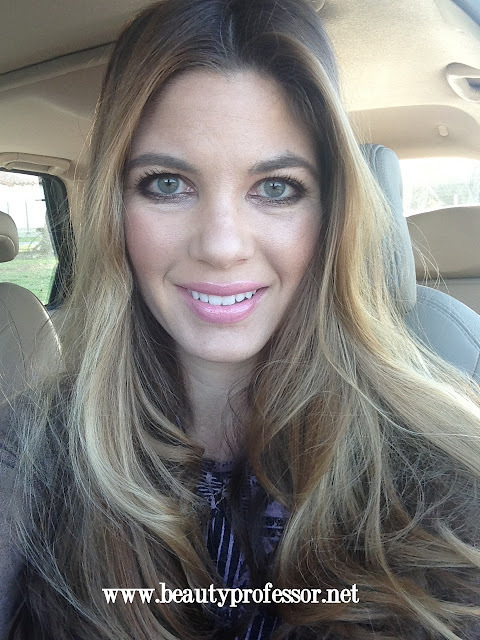 Up to this point, I have not experienced any breakouts or irritations! Ingredients: Water (Aqua), Isododecane, Octyldodecyl Neopentanoate, Cyclopentasiloxane, Titanium Dioxide, Butylene Glycol, Polyglyceryl-4 Isostearate, Zinc Oxide, Dimethicone Crosspolymer, Silica, Nylon-12, Talc, Dimethicone Crosspolymer-3, Disteardimonium Hectorite, Sodium Chloride, Peg/Ppg-18/18 Dimethicone, Cetyl Peg/Ppg-10/1 Dimethicone, Hexyl Laurate, Triethoxycaprylylsilane, Polydodecanamideaminium Triazadiphenylethenesulfonate, Polyvinylalcohol Crosspolymer, Propylene Carbonate, Chondrus Crispus (Carrageenan), Xanthan Gum, Aloe Barbadensis Leaf Extract, Phytantriol, Retinyl Palmitate, Tocopherol, Tetrahexyldecyl Ascorbate, Sodium Hyaluronate, Sodium Dehydroacetate, Phenoxyethanol, Methylparaben, Propylparaben, Stearic Acid, Aluminium Hydroxide, Magnesium Chloride, Potassium Chloride, Zinc Chloride, Lysine, Mica (Ci 77019), Iron Oxides (Ci 77491, Ci 77492, Ci 77499), Titanium Dioxide (Ci 77891). 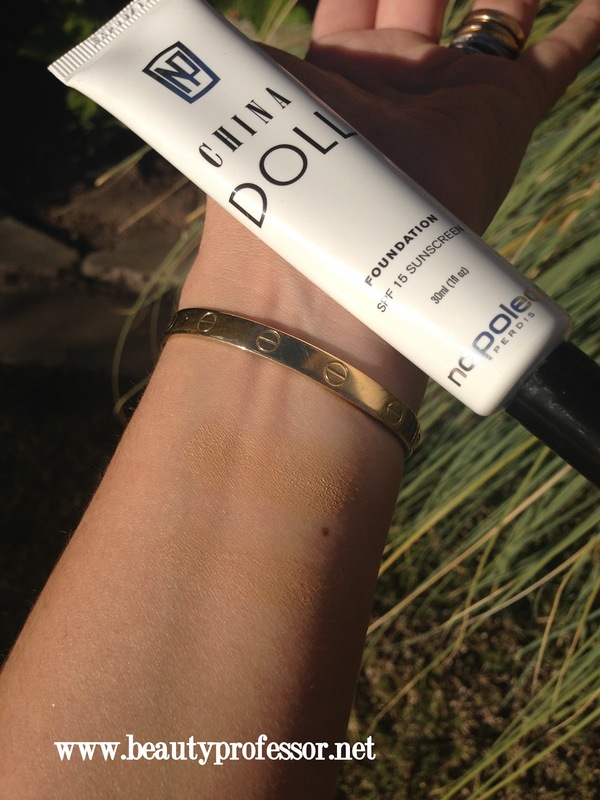 Above and below: Swatches of Napoleon China Doll foundation in direct sunlight and shade...the bottom shade in both images is blended and the top swatch is heavy. Because this foundation is so light and blendable, I had difficulty precisely capturing the texture and tone of this particular product! 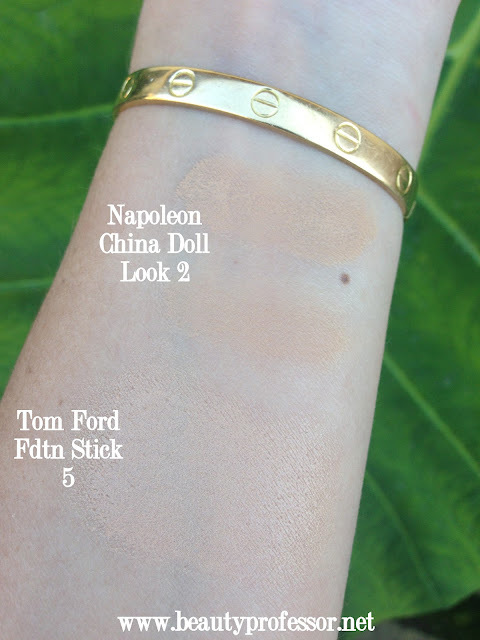 Above...swatches for comparison from bottom to top: Tom Ford Traceless Foundation Stick in #5 Natural and a blended, then heavy swatch of the Napoleon China Doll foundation in Look #2. The Napoleon Look #2 is a little more golden yellow than the very neutral TF #5. The next three images show Napoleon China Doll Foundation in Look 2 on my face in various lighting...in the first and third picture, I have finished it off with some Hourglass Ambient Lighting Powder in Diffused Light. Above: The Hourglass Ambient Lighting Powder in Diffused Light is a perfect finishing touch to this foundation...it seems to guarantee a flawless finish. Above: This picture was taken after a full day of lecturing...over six hours after application, the foundation was still intact! Above: Napoleon China Doll Look #2 on the face. Bottom Line: Although I purchased this China Doll on a whim, I was quite pleased with how much I liked it. The smooth application, accurate match for my winter skin, medium coverage and decent (5-6 hours without requiring a major touchup) lasting power have made this a lovely option for a skin like finish. Though it is not as long wearing as my Revlon Colorstay Whipped Cream Foundation, as flawless as my SK-II Facial Treatment Creme Foundation or as glowy-yet-opaque as my By Terry Sheer Expert/Kevyn Aucoin Sensual Skin Enhancer chimera, I am pleased to have it as an option in my formidable foundation arsenal. Have you tried the Napoleon China Doll foundation? Thoughts? Oh my Lipstick Boulevards...you are too generous and kind!! Thank you...I love foundation and will likely be on an endless pursuit for "the one"." ; ) I hope all is well with you...happy weekend and talk soon! hey i bought the china doll today and i got home and put some on and i left lines on my face. I dont know why i put the primer on before though. Would you know why this is? Thanks for your question...how did you buff it into your skin (brush, sponge etc.)? 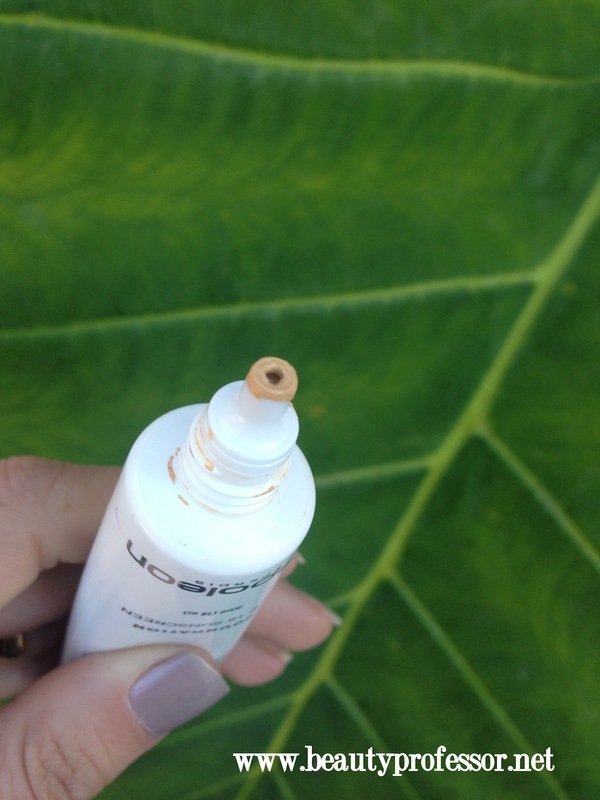 I suggest applying this formula with a damp Beauty Blender to get a seamless finish that doesn't look streaky!